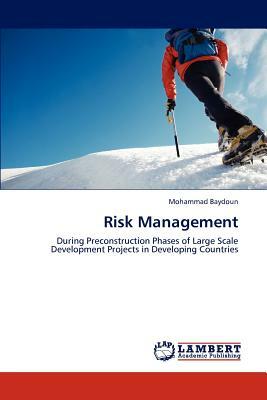 The aim of this book is to develop a risk management model to be used for large scale development projects in developing countries. Such a model can help project managers of this type of projects to gear their projects through different risk environments. Due to high level of risk associated with large scale development projects, the traditional risk management approach, which assumes that risk can be predicted and budgeted early on, is not adequate for application in the context of these projects. Each large scale project has a high level of uniqueness that renders benchmarks from databases generated out of previous projects obsolete. Therefore, a reactive risk management approach is being promoted. The model illustrated in this book includes categories of risk that will help in risk identification, key milestones, at which risks need to be managed, interim risk management processes, a risk mitigation guide to be used in defining the proper measures for each risk, and KPIs that will help in measuring the success of adopted measures. This model is investigated in the context of developing countries where investments in general are characterized by a high level of risk.